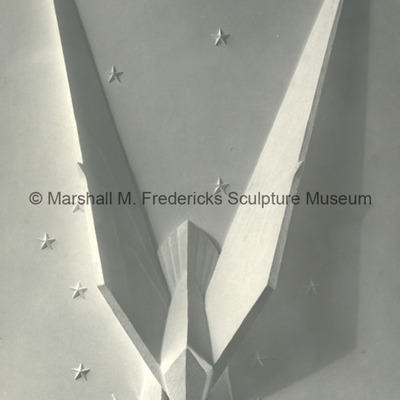 "American Eagle (Victory Eagle)" Plaster scale model. 6' x 3' 4" plaster scale model of "American Eagle (Victory Eagle)" for the John Weld Peck Federal Building in Cincinnati, Ohio. 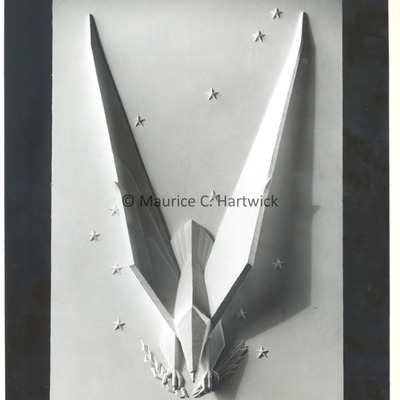 Plaster model of "American Eagle (Victory Eagle)" for the John Weld Peck Federal Building in Cincinnati, Ohio. 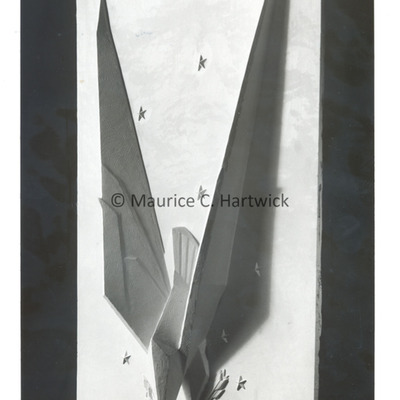 Side view of plaster model of "American Eagle (Victory Eagle)" for John Weld Peck Federal Building in Cincinnati, Ohio. 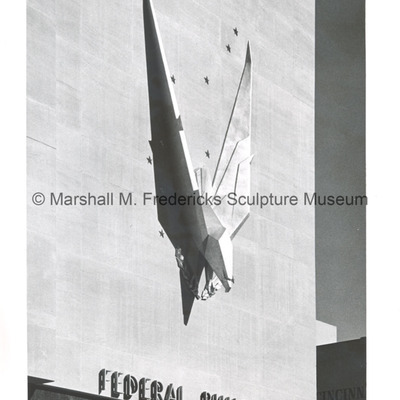 Plaster model of "American Eagle (Victory Eagle)" for John Weld Peck Federal Building in Cincinnati, Ohio. 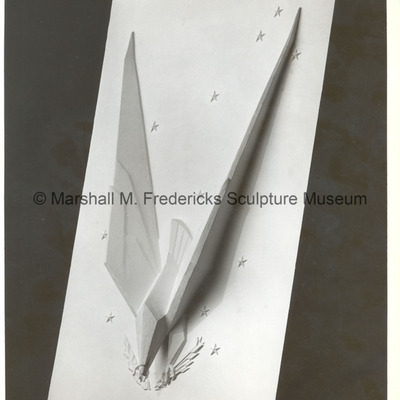 "American Eagle (Victory Eagle)" Plaster model. 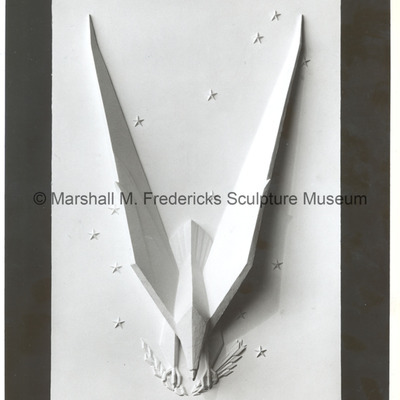 "American Eagle (Victory Eagle)" Plaster model for John Weld Peck Federal Building. Cincinnati, Ohio. 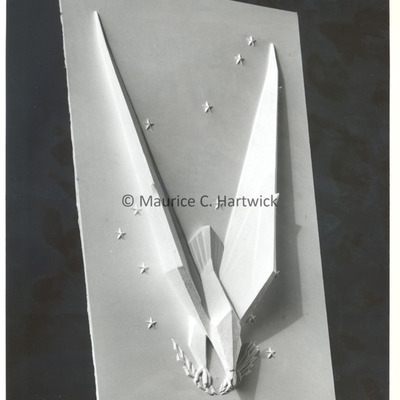 Plaster model of "American Eagle (Victory Eagle) for the John Weld Peck Federal Building in Cincinnati, Ohio.